Welcome to Ken Borland Distributors Limited. We are leading sewing thread suppliers in Dublin and sole distributors for Amann Threads (UK) for the whole of Ireland. Our total commitment to delivering the best products and service levels to our customers has ensured our continued success. We offer same day delivery within Dublin and next day delivery for the rest of Ireland including Northern Ireland. 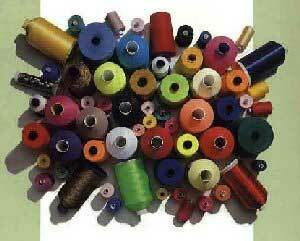 ’Whatever your sewing thread requirements are...we have a thread designed to meet those needs’. We also stock ACKERMANN EMBROIDERY THREADS. These products include ISAFIL, ISACORD, AND ISALON. In direct response to our customers’ requirements we also offer and support a comprehensive range of sewing threads and accessories. "We are a one stop-shop for all your clothing manufacturing requirements." AGENTS FOR AMANN SEWING THREADS.